Should you need your WiFi in your shed at the bottom of your garden, or you have some other long range use like linking the networks of 2 buildings just let me know. 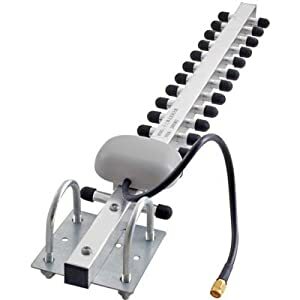 This Yagi Array should give plenty of range and great accuracy. In case you wondered – it’s an aerial! This entry was posted in Internet, Network, Technology, WiFi and tagged Broadband, computer, Internet, IT, network, PC, technology. Bookmark the permalink.